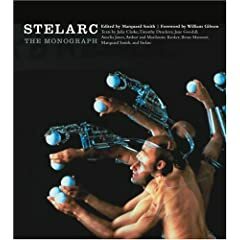 I believe Stelarc has added arms and ears but not amputated anything.Â He has speculated on the worth of the wetware we are born with and whether or not we might be better off replacing it with hardware. You said â€œMy main concern is I guess to suggest that maybe there should be boundaries to human behaviour, values if you like.â€ – but I wonder whose values? ?Â I suspect John Howardâ€™s recent comments are prompted by similar thinking.Â If there are to be boundaries – who defines them?Â How do we achieve concensus on what shoud be regarded as â€œnormalâ€?Â Â Where would such thinking have left the transgendered, intersexed or androgynes? The film Dogville examined the notion of â€œarroganceâ€ of thoughtâ€¦ and seemed to suggest that none of us can escape it.Â We all seem to think that what we personally can allow to sit comfortably should define the rest of the world.Â Art is just one way of questioning.Â The arts seem to me to be charged with making strange what we see and experience so that we interrogate it more carefully.Â No easy answers in this world.Â Â I still assert we need to develop our capacity for difference and ambiguity.Â Why do so many people seem compelled to colourless, settled existence?Â Whatâ€™s wrong with turning things upside-down and living within our discomfort zone? The couple you mention exploring psychoactive drugs have actually contributed much to the pharmaceutical world. You ask the question â€œWhere does it stop?â€ – and I throw that back at you.Â Just where do YOU think it should stop, what leads you to make that decision, why there particularly, what will it mean if it does or doesnâ€™t stop where you suggest?Â By what criteria is your label of â€œridiculousâ€ applied in your opening paragraph?Â As an artist that is the world I live in.Â Iâ€™m not always at ease with the ideas that I consider, and I think thatâ€™s the point?Â Many people in history were deemed â€œfoolishâ€, â€œridiculousâ€ and â€œdangerousâ€ – Giordano Bruno, Christopher Columbus, Nicolai Teslaâ€¦Â should we be without their contributions because we dared not allow them?Â In Giordano Brunoâ€™s case he was killed for believing the majority was wrongâ€¦Â Edmond Halley was acclaimed some years later for making the same claim! 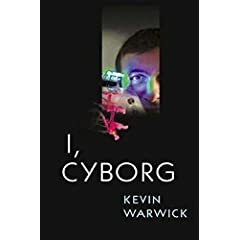 Iâ€™m curious about the subcultures that will emerge in relation to the work of Kevin Warwick (see his book I, Cyborg) – as he was doing his experiment (under strict medical and academic ethics limits) he was getting correspondence from people doing the same work in their backyard surgeriesâ€¦Â I suspect the cyborgs are already walking among us and we live in blissful ignoranceâ€¦ how many kids in your class might be experimenting?Â How many of your colleagues have already made the decision and undergone cybernetic implantation – Can you look at any of us again and not wonder?Â When you look in the mirror one day will it be you looking back?Â Â Hope you sleep well!! The future of technology, info systems, computing will very likely become inextricably interwoven with biology, genetics and psychologyâ€¦Â it already isâ€¦Â we live in that world – hiding from it and saying it frightens us doesnâ€™t seem a particularly effective (or interesting) response. No hyperbole in that lot!Â Of course I might have found an â€œartisticâ€ way of redefining â€œtruthâ€â€¦.